As your astrologer I wish to provide you with pertinent and accurate information and readings that will give you insight, revelations, ideas and a knowing of yourself that is deep and true. With the chart to guide and give meaning to your thoughts, emotions and circumstances you can assist yourself in making the best choices available. The accuracy of your reading is based upon both of us creating and maintaining a long term relationship. It is most important to impress the significance of an accurate birth time as this is our starting point. This article discusses why it is important, what happens with inaccurate times, what you can do to make sure you have the most accurate time, what your options are if you don't. Why is your birth time so important? This initiation into life is mapped astrologically, a blueprint that defines your journey, characteristics, personality, patterns and cycles etc. The locations of the celestial bodies on the 360 degree wheel that is divided by twelve houses and ruled by twelve signs, at the exact time of your birth is key to interpretations. Knowing the correct sign ascending at birth, Ascendant, is crucial in all forms of astrology because the time determines the structure and operations of your chart. When you exit from the womb and take that first breath is when you cease to exist from your mother's life and embark on your independent journey on earth. There begins your map to navigate the stars and reveal the wisdom of who you are. What changes when the time is wrong? The time of birth determines the Ascendant or rising sign. The Midheaven, or the highest point in the chart. These two important points are the very fast moving as they make a full cycle through all 12 signs of the Zodiac every 24 hours. 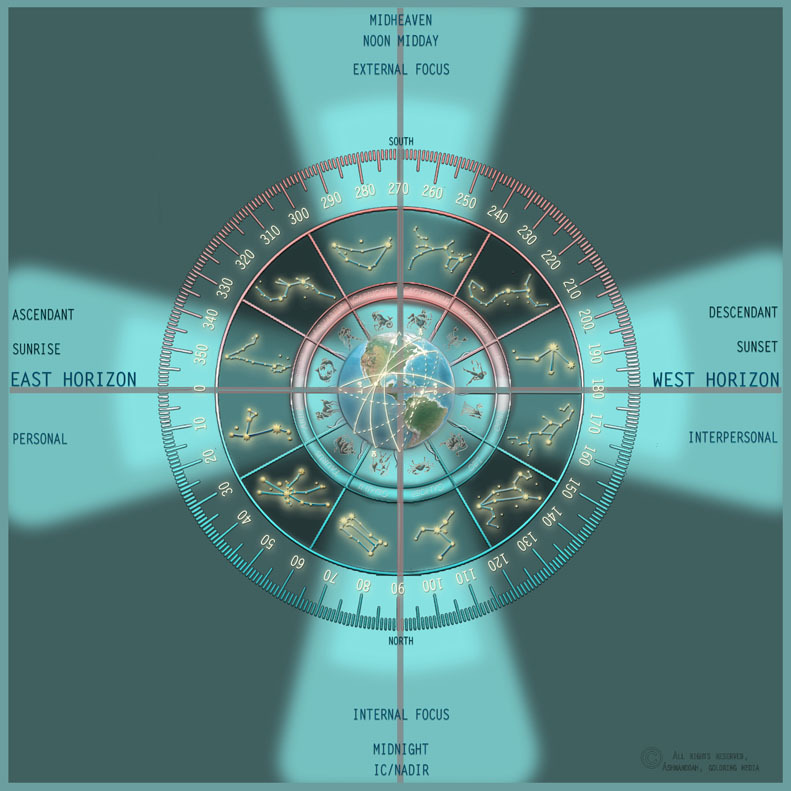 The Acendant: When a horoscope is cast, the point on that chart that represents the eastern horizon (far left of the chart) is known as the 'Ascendant' because it was the zodiac sign that was rising at the moment of your birth. The Ascendant describes your most natural expression, outward projection, who you are in the world, your outward personality or the mask you wear. It is the filter which you process your life experiences. In brief it is the way you present yourself to others and how others see you. "The Ascendant reflects a person's natural way of acting, his/her habitual external behavior, and his/her way of responding to new impulses and impressions... It is an important part of our character, sometimes so natural that when people call attention to our traits, we often have difficulty in recognizing these traits as being a part of us or being 'like us.' Only when we have carefully observed ourselves over a period of time, will the Ascendant characteristics become clear to us and we begin to understand the foundation of our character and our future personality. There are 24 (hours) in a day times 60 (minutes each hour) = 1,440. The zodiac wheel has 360 degrees and is divided by 12 houses each ruled by a zodiac sign. Every 4 minutes there is a new degree of a particular zodiac sign racing up the horizon, your ascendant, 360 X 4 = 1440. There is a potential 1,440 different horoscopes for any single day a person is born at any one specific geographical location. The Midheaven: is a point on your birth chart that traditionally reflect your career or chosen vocation or interest that is highly important to you, your status, aim in life, aspirations, public reputation, and your life goal. Since every 4 minutes there is a new degree on the ascendant, (eastern horizon) it also changes the Midheaven, Descendant, and Nadir which are the four primary points of the astrological profile. Being off by one hour will put your Ascendant 15 degrees off within the relative zodiac sign. In two hours the ascendant is in a new zodiac sign. Too often astrologers encounter clients who provide them with a birth time that raises an eyebrow of suspicion. Only 7 percent of the population is born on the hour or half hour yet a higher percentage of clients provide these as their times. It is reasonable to suspect these are rounded off times. Then there are those who seem to provide these 11:11, 12:12, 3:33 and so on, times assumed by the client because they do not actually have their actual birth time but its fun to have one of those cosmically synchronistic numbers. The Moon: travels approximately 12-14 degrees per day so on some days the Moon changes signs and without an accurate birth time it would be more difficult to assess the person's Moon sign if they were born on a day when the Moon changed signs. The same is true when other planets change signs on the day of a person's birth. 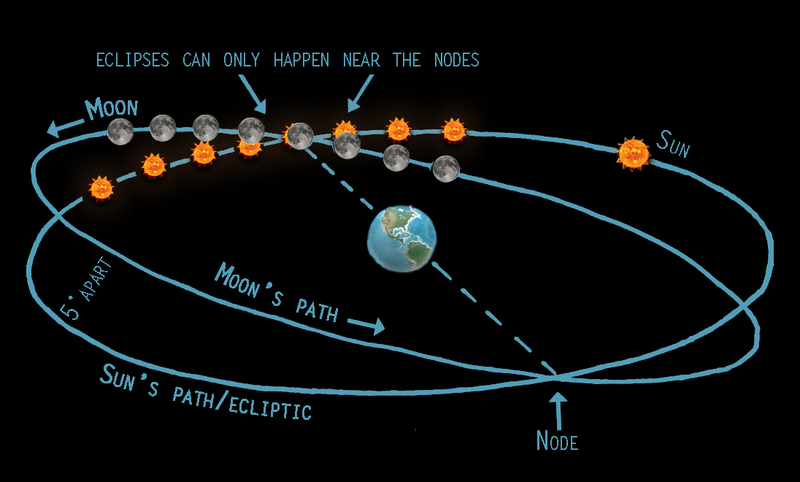 The Moon's Nodes would also be affected. Inaccurate birth times become obvious soon into the reading because the reading can only be relevant to the degree that the birth time is accurate. One of the fundamental reasons why astrology has gotten a bad reputation is because of inaccurate birth times. The generalized nature of computer generated reports will make them vaguely relevant. Rather than having a disappointing experience and wasting money and time we will all be much better off in the end by getting an accurate birth time. Otherwise you probably will go on searching elsewhere for a "better" astrologer but if you continue to provide an inaccurate time you will only waste your money and will receive an interpretation that doesn't fit you. Location of birth accuracy: Errors in latitude affect the ascendent and the house cusps. An error of about 1 degree in latitude produces an error of about half of one degree in the ascendent. One degree of latitude is about 67 miles. An error of one degree in longitude produces an error of 4 minutes in the birth time. This will affect the ascendent and the cusps most, producing an error of one degree in them. An error of fifteen degrees in the longitude makes a difference of one hour in the birth time. Astrocartography: This method looks at how the planets are aspected to the Ascendant, Descendant, Midheaven and Nadir. A birth time off by 10 minutes will cause rising and culminating lines to be about 135 miles off and 15 minutes will shift lines to about 300 miles off. 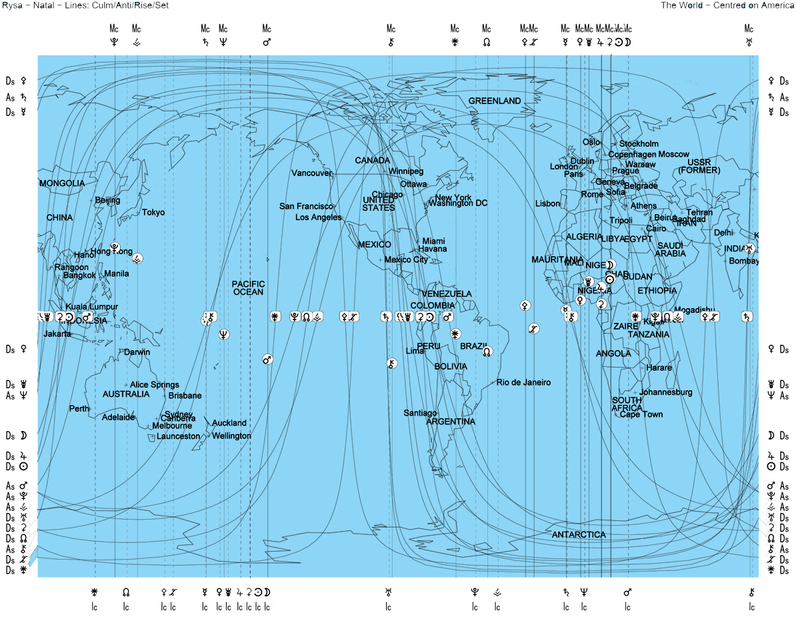 Astro-mapping methods are virtually useless unless the birth time is very accurate. Natal Charts: With a 15 minute error in birth time, the degree of the rising sign for a chart with a Pisces or Aries Ascendant (signs of short ascension north of the Equator) can often shift by 7 degrees, and up to 20 degrees for the high or low latitudes. The more Northern or Southern the birthplace the faster the Ascendant rises and it is more critical to have an accurate birth time. For people born in the Northern latitudes in the signs Aquarius, Pisces, Aries, and Taurus Ascendants rise the fastest. For people born in Southern latitudes, Leo, Virgo, Libra, and Scorpio Ascendants rise fastest. If we ignore this issue when working with approximate birth times, we will be delineating charts where the house positions will be off, we won't be able to tell which planets are strongest and the Ascendant could easily be in the wrong sign. Diagnosis in medicine demands the skill to know the cause or etiology to determine proper treatment. Knowing the birth time is equally important as the treatment and understanding of the individual's energies and consciousness are dependent upon accurate delineation. Synastry: Without a correct birth time we can not do synastry or compatibility analysis. The planets in or ruling or aspecting the 7th house will create a confusion to assess relationship patterns in the future of this relationship. Aspects to the angles and aspects by the Moon change quickly and intensely and to draw a composite chart works with the accuracy of each chart. Transits: Uranus, Neptune, and Pluto to the angles, the Ascendant and Midheaven are the most important transits in a person's life. An error in the birth time 15 minutes can make a minimum of two months to over a year if the outer planet is moving slowly or turning near its station, to almost seven years for someone with a faster moving Pisces or Aries Ascendant in the Northern latitudes and Virgo and Libra and Scorpio in Southern latitudes. The timing of transits to angles is impossible to determine with any precision. If you suspect you have an inaccurate birth time you can begin by requesting your records from your respective governmental authorities, vital statistics and hospitals. Ensure that the documents you are requesting have the birth time indicated on them. Start with your mother and ask if it was day or night, breakfast, lunch or dinner time etc. Did she miss an event , work day or church mass when she began labor? Who else was present, who was the delivering doctor? Begin interviewing elderly relatives and friends, gather any information possible that will help narrow the time frame down for you. Birth Time Rectifications: Once you have exhausted the above means and if you wish to pursue this further than order a birth time rectification chart from me and you will receive another list of questions and homework to complete. Once that is completed we will schedule a time for this type of reading. Make sure you leave a few hours open, the less information you have the longer it will take. A rectification is a reading by an experienced and professional astrologer. The client's personal experience, related facts, evidence and investigations will be used to create a rectified chart. It can prove to be a workable chart and used to determine future cycles and circumstances as well as the deeper significance and purpose you are here to serve. There is never a guarantee of accuracy with these from any astrologer since birth time rectifications are based on speculation and depend on the level of information provided as well as your ability to identify honestly with aspects during the process of elimination. I strongly recommend that you exhaust every possible means to narrow down the time frame. Together we can attempt to deduce the time of birth by studying events in your life and trying to match up your chronology with one of the possible charts for that day. This requires a diary of the exact dates of events and experiences in your life including marriage, divorce, birth of children, major health-related issues (operations, accidents, illnesses), death of family members, relocations, long-distance travel, legal events, changes of residence, graduations, certifications, career changes and promotions and more. In each case of advanced astrological research on your chart the necessity for rectification is important. To find the right you. We have a questionnaire available where we can determine the validity of your time. These questions are designed to best determine and or validate your birth information. To be very clear without a proper time the Chart has little meaning and most work is based upon general psychology and assumptions. to your Happiness, Love and it is your Light! Copyright © 2015 GoldRing Astrology. All rights reserved.